Wrongful Death Claims Ft. Lauderdale | Welcome to Adam Franzen. P.A. The term “wrongful death” is a legal term which refers to a civil claim that is brought on behalf of someone whose death was caused due to another’s intentional, reckless or negligent conduct. Florida Statutes 786.16 – 786.26 outline the legislative intent behind Florida’s Wrongful Death Statue. Because a deceased party is incapable of bringing forth a claim, a wrongful death action allows for certain family members to filing a claim for damages against the party or parties that caused the loved one’s death. In the area of injury law, wrongful death actions are typically brought against companies, hospitals and other parties whose negligent conduct caused the death of a person owed a duty of care. Florida’s wrongful death statute has some intricate rules with numerous exclusions and exceptions. Many people grieving and suffering from the death of a loved one cannot recover anything in a Florida wrongful death lawsuit. That’s why hiring an experienced attorney, like Adam Franzen, to represent you in your wrongful death case is absolutely critical to getting the compensation you deserve. The Florida Wrongful Death Statute clearly describes what damages are available to the survivors of a wrongful decedent. Essentially, survivors may be entitled to damages for loss of companionship, instruction, guidance and the potential earnings of the decedent. Although I encourage you to read the below statute, please remember that in order to fully understand the nature of wrongful death damages, I high advise that you consult with an attorney. What is the difference between personal injury claims and a wrongful death claim? Claims for personal injury and wrongful death have many similarities. Both claims are based upon the theory of negligence- a duty was owed, that duty was breached, and damage resulted from the breach. In both actions, someone suffers an injury. As a result of that injury, there are medical bills and other related economic damages. Despite the many similarities, the two claims are significantly different in regards to who has the ability to bring an action forward and the areas that compensation may be awarded for. The most notable differences between personal injury and wrongful death claims are the parties that have standing to bring the action forward and the rationale for the damages awarded. In a personal injury case, the action is brought by the injured party; in wrongful death cases, the action is brought by the decedent’s personal representative, who shall recover for the benefit of the decedent’s survivors and estate all damages caused by the injury resulting in death. The purpose of the damages award is to provide for the survivors of the deceased who were dependent upon the deceased for support and maintenance. 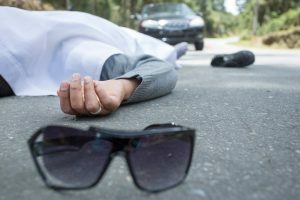 What is required to bring a wrongful death lawsuit forward? In order to present a successful wrongful death case to an insurance company or court of law, certain key elements must be present or the claim cannot be supported. A human being has lost their life as a result of another’s actions. The action which resulted in the victim’s death is determined to have been caused by someone else’s negligence, or intentional conduct to cause the harm and/or injury to the victim. Identify who has legal standing to bring an action forward. Determine that there are survivors who have suffered monetary damages and who are wholly dependent on the support of the deceased to live. A personal representative is appointed to establish an estate for the deceased, identify all survivors and identify any other economic obligations the estate may have as a result of the death of the decedent. Once those elements have been identified and/or established, an action can be initiated. Attorney Adam Franzen can help you through the legal quagmire of wrongful death lawsuits. Adam Franzen knows the Florida laws on wrongful death and can represent you in your claim. Call Mr. Franzen at (954) 462-5790, or visit his website to learn more about how he can help you with your wrongful death or personal injury cases. This entry was posted on Friday, July 8th, 2016 at 3:24 pm	and is filed under Blog. You can follow any responses to this entry through the RSS 2.0 feed. Both comments and pings are currently closed.